Amazon.com description: Product Description: It's snowman season in the neighborhood, but the Spotlighters discover that someone's not just playing! They find a curious iron figurine hidden inside one of the snowmen. Who was hiding it--and why? When a stranger comes looking for it, it's clear the Spotlight Club has another mystery to solve! 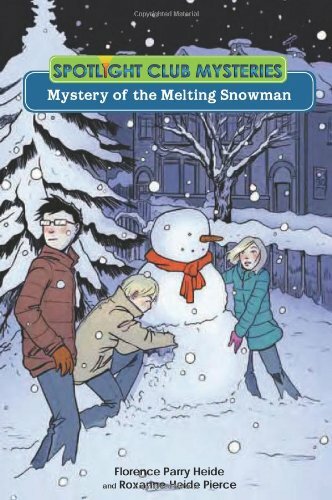 About: It's snowman season in the neighborhood, but the Spotlighters discover that someone's not just playing!